The AFSOAS Board of Directors, almost all of whom are SOAS alumni themselves, are volunteers who dedicate their time, expertise and efforts toward building a bridge between SOAS and alumni / students / prospective students in the U.S., as well as supporting SOAS as an institution through student scholarships and other institutional contributions. These individuals represent different geographic regions, areas of study, and time periods of study, bringing a diverse set of ideas and experiences that is reflective of the incredible diversity of SOAS itself. 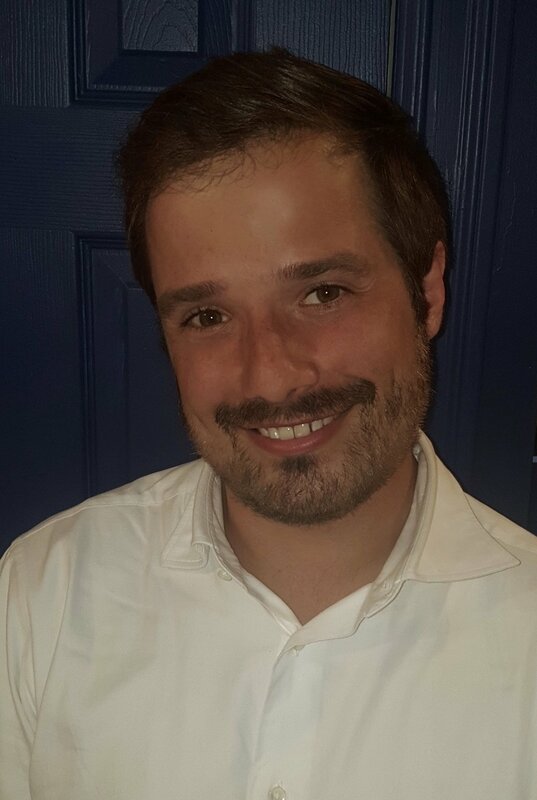 Since completing his MA in International Studies & Diplomacy at SOAS in 2007, Greg has worked as an international development consultant, serving nonprofit organizations that operate in countries all over the world in helping to build their capacity, designing & implementing programs, and working side-by-side with local partners & communities to help them achieve their development goals. He is the Executive Director and Co-Founder of Visions Global Empowerment, a Los Angeles-based nonprofit serving youth & communities through education in India, Ethiopia, Sri Lanka, and Nicaragua. Kate received her MsC in Development Studies from SOAS in 2003, with dissertation on Argentine worker co-operatives. Kate was a part of Oxfam's first US-based field team in South Louisiana with the historic disaster recovery from Hurricanes Katrina and Rita. She has worked on social justice and international programming at Columbia Law School and the University of Tulsa. Kate is now a financial planner at Abacus Wealth Partners, a B-Corps and fee-only firm, and deepening her analysis of impact investing and its intersection with both the neoliberal market system and economic justice. After graduating from SOAS in 2010 with a BA in Economics and Politics, Salma spent a year abroad working at UBS in New York. Upon returning to London, she worked for both Morgan Stanley and HSBC in their Collateral Management departments. 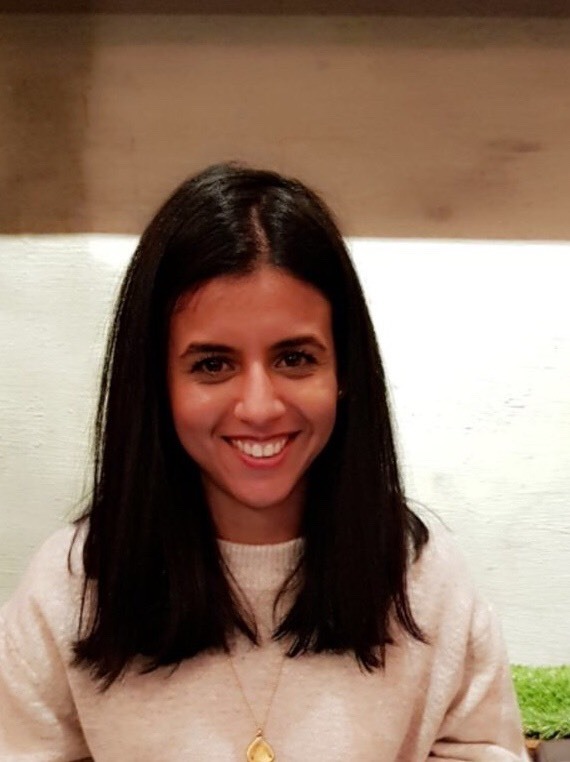 Salma eventually found herself back in New York, where she currently resides, working at HSBC in their regulatory Trade and Transaction reporting team. FlashpointInteract.com, which seeks to empower High School students in the study of the Humanities, so they can rise to their full potential through the use of interactive content and methods. Her past experience includes being an editor in academic publishing at the Open University in England; member of the BBC’s General Advisory Council; co-director of the Academy of IndianDance. She also writes a blog at www.theyoganature.com. She holds a BA (Cantab) and PhD (SOAS, University of London). 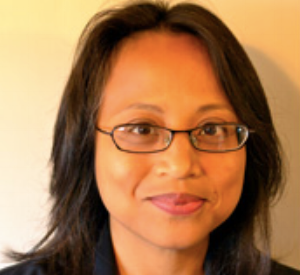 Verna Polutan is a graduate of Cornell University (B.A. Government) & New York Law School (J.D. 1997), and was a visiting student of Politics at SOAS in 1989. Verna has been engaged in the exclusive practice of immigration law since 1998. After graduating from law school, Verna worked in private practice for an immigration law firm in New York City. She moved to Los Angeles in 1999 and worked as an associate at one of the largest immigration law firms in the West Coast. She established her own law office in 2002 where she practices in the areas of family immigration and business immigration, as well as in business law, entertainment law and family law. Having studied abroad at SOAS for a year during her undergraduate studies, Jess went on to pursue a Masters Degree in Development at Brown University. She now works as a Data Scientist evaluating and recommending high-impact physician and patient programs at Genentech. She devotes her free time to enabling meaningful partnerships between impact investing organizations and entrepreneurs. President of AFSOAS since 2011, Brooke is currently pursuing a Masters at SOAS in Near and Middle Eastern Studies and a Diploma in Communicative Arabic. A public health professional, her past experience includes work in the NGO sector with special focus on tuberculosis, health of the homeless, reproductive rights, health access, fundraising and communications. Brooke is an alumna of SOAS having completed her BA in Politics (Africa) as well as an MPH from Tulane University School of Public Health and Tropical Medicine. 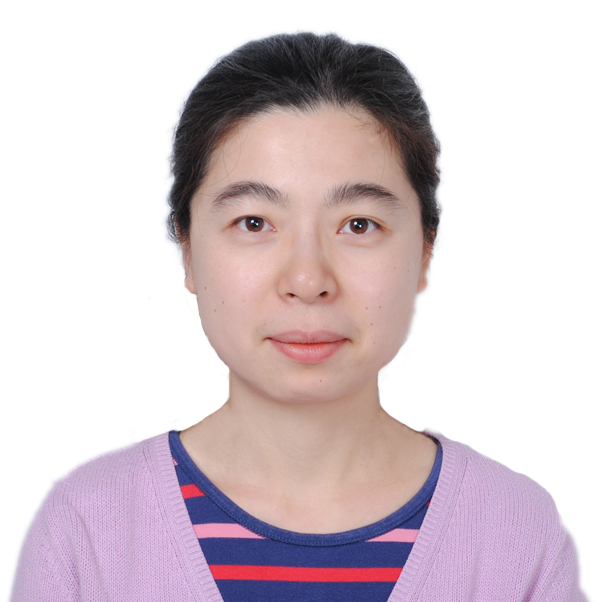 Fay Hu attended SOAS from 2003-2004 and completed her Intermediate Certificate in Comparative International Stuides before moving on to Royal Holloway, University of London for her undergraduate studies in Management. She earned her Masters Degree in Sport Management from the University of San Francisco. Fay has non- profit administration and management experience with USA Water Polo, which is recognized by the United States Olympic Committee as the governing body of the sport in the United States. A native of Germany, Katrin studied and traveled extensively throughout Europe and Asia before setting up her own studio in Harlem, New York. Educated in Switzerland, England, China and the United States, she graduated first from SOAS with a degree in Chinese and Art History, then went on to study jewelry design at New York’s Fashion Institute of Technology (FIT). Katrin founded her own company Ex Ovo in 1992. She is a member of the Council of Fashion Designers of America (CFDA) and is a Professor at New York’s Pratt Institute. Kirstie is a PhD Candidate at SOAS in the Department of Development Studies. Her research interests include migration and development, African diaspora populations, second-generation immigrant identity, and transnationalism. Prior to beginning her doctorate, she founded The Nana Project, a digital platform dedicated to preserving Ghana’s history through the voices of Ghanaian elders. In 2016, Kirstie was named as one of Ghana’s Top 30 under 30 by the Future of Ghana. On the one hand, this means that SOAS scholars grapple with pressing issues - democracy, development, human rights, identity, legal systems, poverty, religion, social change - confronting two-thirds of humankind, while at the same time remaining guardians of specialised knowledge in languages and periods and regions not available anywhere else in the UK. 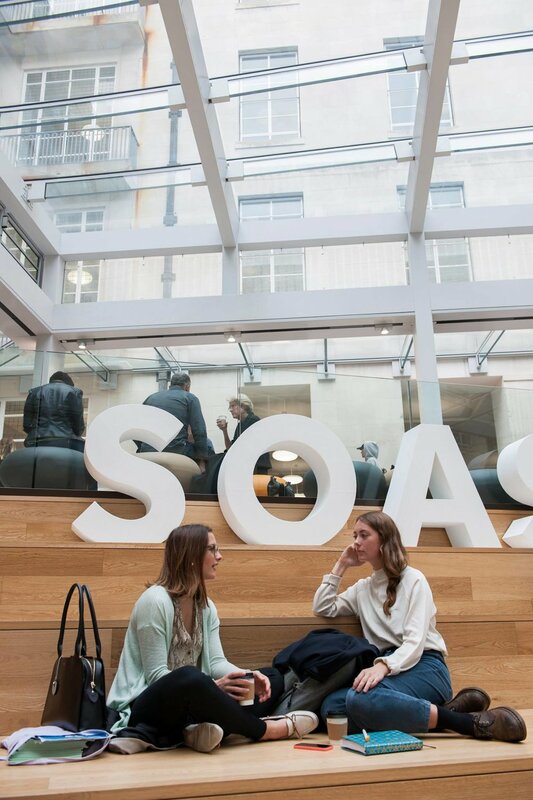 SOAS's academic focus on the languages, cultures and societies of Africa, Asia and the Middle East makes it a truly indispensable interpreter in a complex world. 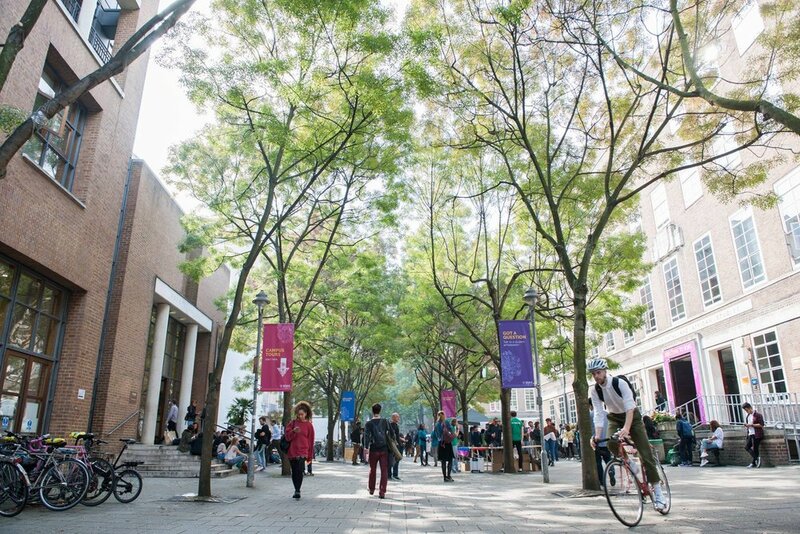 SOAS has more than 5,000 students from 133 countries on campus, and just over 50% per cent of them are from outside the UK. In addition, about 3,600 students around the world are taking one of our online and distance learning programmes. 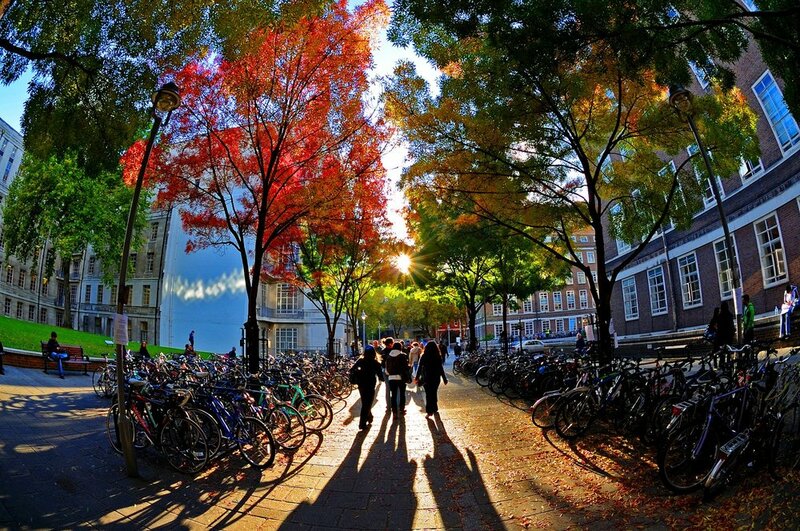 More than 40% of SOAS undergraduate degree programmes offer the opportunity to spend a year studying in another country. In the Research Assessment Exercise of 2008, more than 85% of our submissions were ranked at either the highest grade of 4* (world-leading quality), 3* (internationally excellent) or 2* (recognised internationally). Small-group teaching remains an important feature of study at SOAS – the student-staff ratio (11.3:1) is one of the best in the UK.